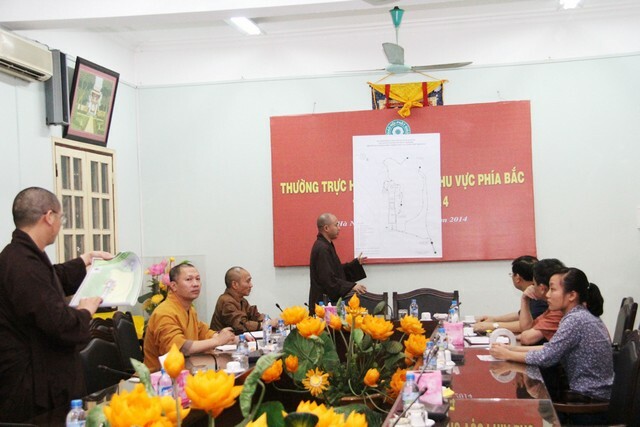 On April 18, 2014, at the Central Headquarter of National Vietnam Buddhist Sangha (NVBS) at Quan Su Pagoda, the Security Subcommittee had a meeting on the implementation of the duty of assuring the security at Ninh Binh Province during the period of United Nations Day of VESAK (UNDV) 2014, lasting from May 7 – 11, 2014. Most Ven. 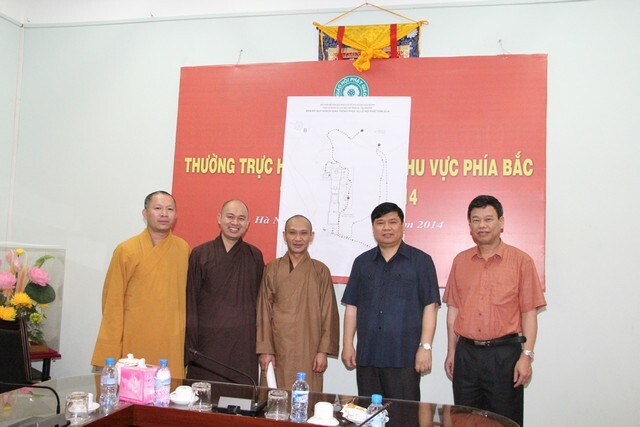 Thich Duc Thien – Deputy Secretary General of NVBS, Most Ven. 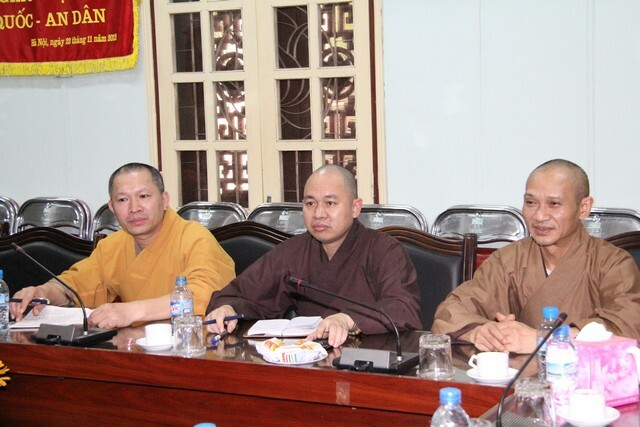 Thich Thanh Dien – UNDV 2014 Head of Security Subcommittee, Colonel Hoang Cao Tanh – Vice Director at Ninh Binh Police, Head of Security Subcommittee of Ninh Binh Province VESAK 2014 Task Group, attended the meeting. The meeting agreed on the security implementation in Ninh Binh Province, basing on Bai Dinh’s map and all the activities that would happen at the Festival. The Provincial Police proactively cooperated with the Ministry of Public Security’s departments, police officers from Nam Dinh, Ha Nam and Thanh Hoa provinces and other provincial departments to build and initially realized the plans on the reinforcement of political and social security, traffic security, fire prevention and the security for Government and Party leaders and Heads of State from other countries who come to participate in the festival. 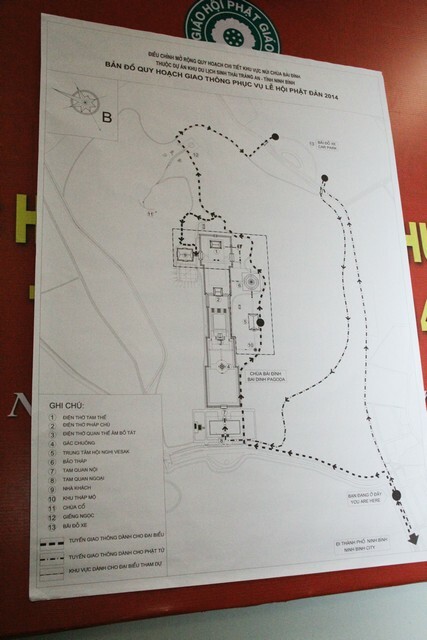 Ninh Binh Province police officers cooperated with Department of Traffic and Transportation and other related provincial departments to carry out field research, build traffic schemes from other areas to Bai Dinh Pagoda and vice versa, make an area diagram and instruction signs to enter Bai Dinh Pagoda, enforcing the transportation companies to ensure traffic security in transporting passengers and goods. Agreeing on welcoming venerables at the Festival, checking the in and out security and the delegate cards, vehicle tickets, etc. The UNDV 2014 security subcommittee cooperate with other regional units basing on the functions and duties to successfully accomplish the allotted tasks, absolutely ensuring the safety for all Government and Party members and delegates who attend the Festival.